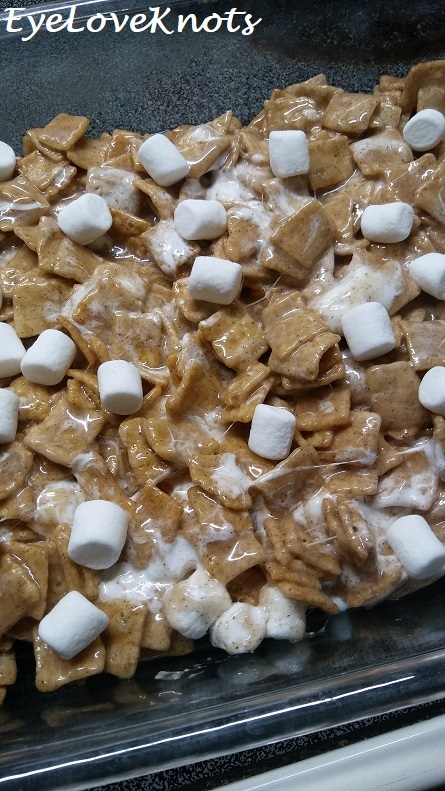 The recipe for these delicious, gooey, Cinnamon Toast Crunch Cereal Treats popped into my inbox last week, and I immediately went out to get the ingredients to make them. I LOVE cinnamon, so I knew I would love these! Only thing I wish I would have had to add was some of my homemade snickerdoodle cookies (recipe coming to you soon!) to use like Kelly used in her bars, but nonetheless, these were a fun, yummy treat after dinner. Marshmallows: The bags I picked up were 6 cups, so I used one bag plus a some from another.Vanilla Extract: I used the recommended 2 teaspoons, but in tasting, I think I would do only 1 teaspoon next time. Cereal: You can really use any cereal you want, which is awesome. The recipe calls for cookies too, and if no cookies are used, to add additional cereal to the mixture – I didn’t, and I think it came out perfect. 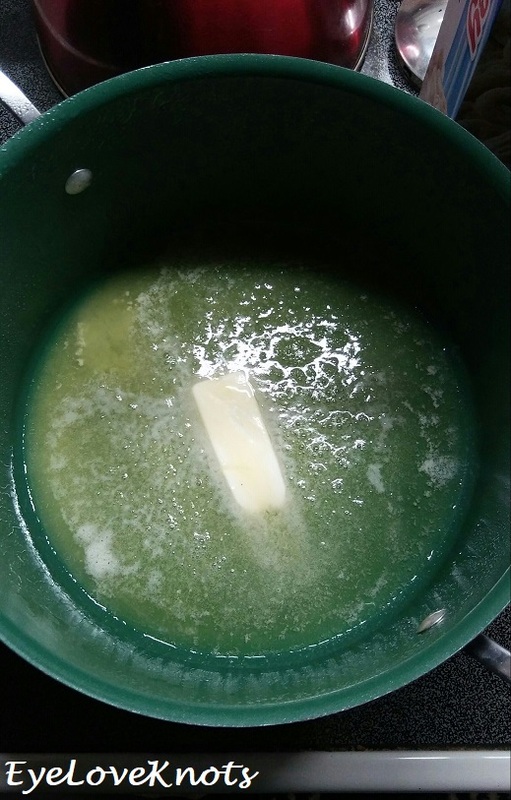 I sprayed down my pot before I put the butter in to make sure when I put the marshmallows in that they didn’t stick to the sides. 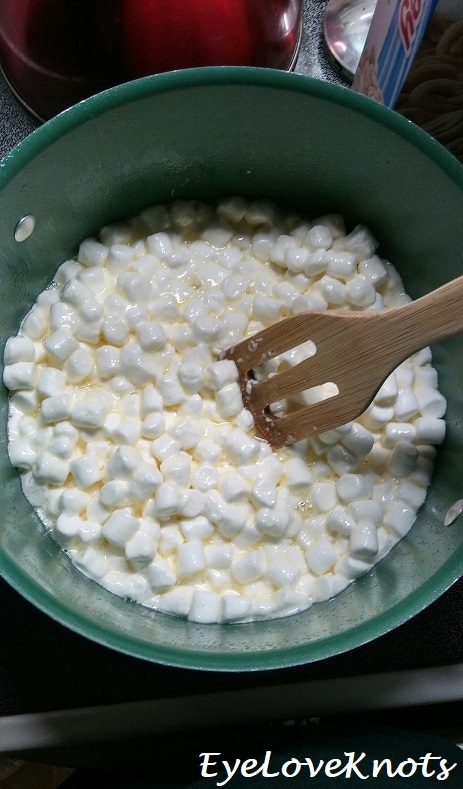 I HIGHLY recommend measuring EVERYTHING out ahead of time – I didn’t, and as the marshmallows sat, they began to thicken/harden, and it was more difficult, so I had to put them back on the stove to work everything else in. 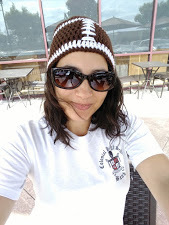 This was my first time melting marshmallows this way – it was so easy, and quick! As I mentioned before, I took my pot off the heat to add the other goodies in, but the marshmallows thicken quite fast. I put it back on the heat to work with. What I should have done (aside from having everything ready ahead of time), was take the pot off the heat once the cereal had been mixed in because the last cup of marshmallows I added melted into the mixture – it is supposed to be actual marshmallows pieces within the bars. 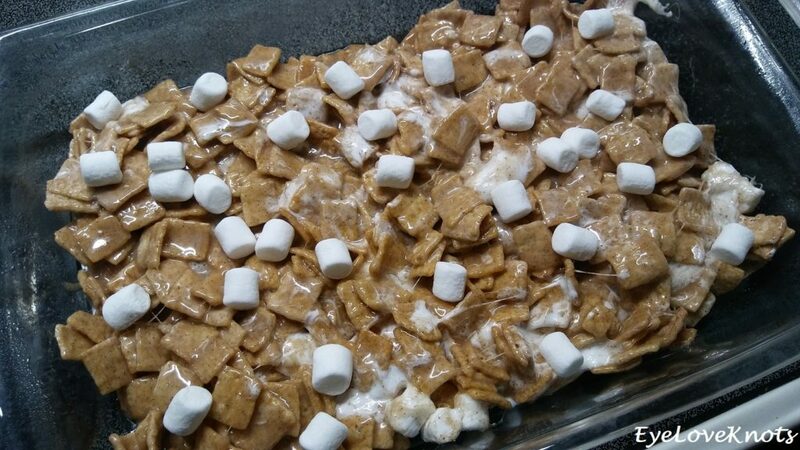 To compensate for my melted marshmallows, I sprinkled some on right after I poured it into my casserole dish. My bars did not come out as thick as the ones in the original recipe – maybe because I didn’t add the extra cereal (or cookies as the original recipe uses), but you easily make one and a half the recipe, or even double for thicker pieces. For Todd, and I, this was plenty! And delicious! 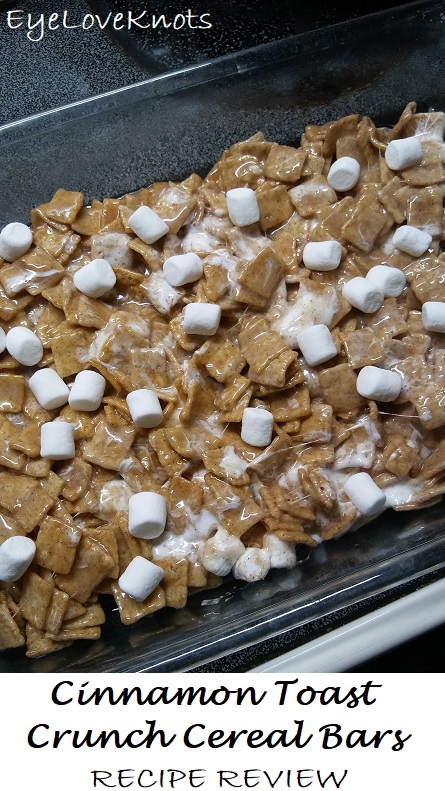 Just the right amount of cinnamon, and a delicious creamy flavor with the marshmallows. 🙂 Loved it! Was happy I got around to trying one of the many mouth watering ones from your site that I have pinned. All of those marshmallows are making my mouth water. This looks like a delicious recipe that I need to try soon! You definitely should! I have a bunch of marshmallows left. Going to see what else I can make with them. Any suggestions? This does look delicious, thanks for sharing. They look so good! 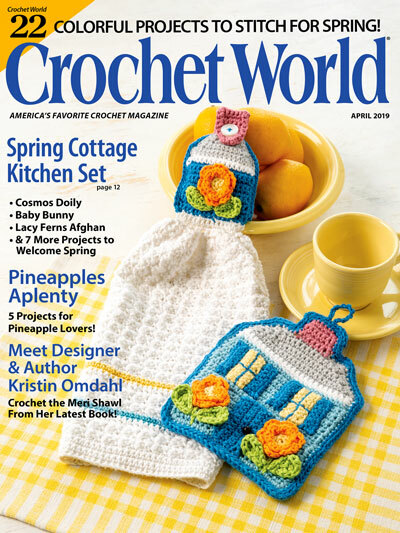 I definitely want to try this recipe too!